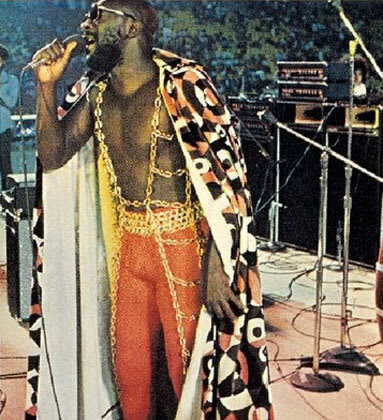 If you've ever watched Shaft and nodded your head to the background music, then you know Isaac Hayes. He was the third African-American person to win an Academy Award (thanks to 1972's iconic Shaft theme song), and became a cultural icon. His on stage looks were provocative and attention-getting, and he was an early adapter of the gold chain.